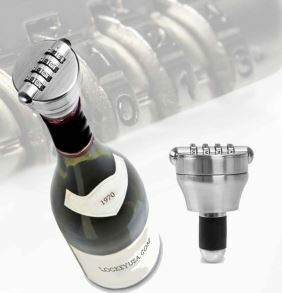 The Lockey Combo-Cork Combination Bottle Lock is a tamper-evident lock that will secure your fine wines and liquors. 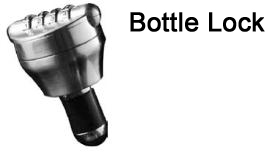 Simply set the combination, twist the top and be assured that your bottles are secure. LOCKS FOR ...: (locks designed for special uses like wine bottles, casement windows, spare keys, etc.). WAYS TO LOCK/UNLOCK: (unlocks by rotating dials with numbers).